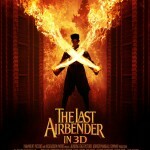 Paramount Pictures has released two new posters for M. Night Shyamalan‘s new soon-to-be-released feature film, The Last Airbender. 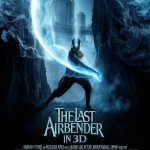 The movie is an adaptation of the animated Nickelodeon kids-aimed series Avatar: The Last Airbender, which tells the story of a boy with special abilities who runs away when he is told he is the next Avatar. 100-years later he is found frozen in an iceberg, right when he is most needed to help his world and his people stop the evil Fire Lord Ozai from destroying his fellow nations in search of ultimate power. Conjure up your own natural element of choice (I like water; you can have a water balloon fight without all that messy latex) and continue on over to the other side to check out the new posters! 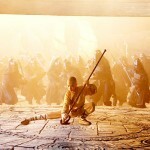 Just last week a brand new trailer for the movie was released (Read: Watch Now: New Trailer For M. Night Shyamalan’s ‘The Last Airbender’), so it’s clear that Paramount is making a strong push for box office success when the movie is released on July 2, 2010. Based on the hugely successful Nickelodeon animated TV series, the live-action feature film The Last Airbender is the opening chapter in Aang’s struggle to survive. ‘The Power Of The Dark Crystal’ Grabs New Writer & Directors; 3D/CGI Being Used?